Discover the world of board games! The Imagination Gaming Cyprus invites you to discover the world of board games! Get to play and have fun with dozens of imaginative board games of strategy, mystery adventure, educational family games and more, for ages 8 years and up! 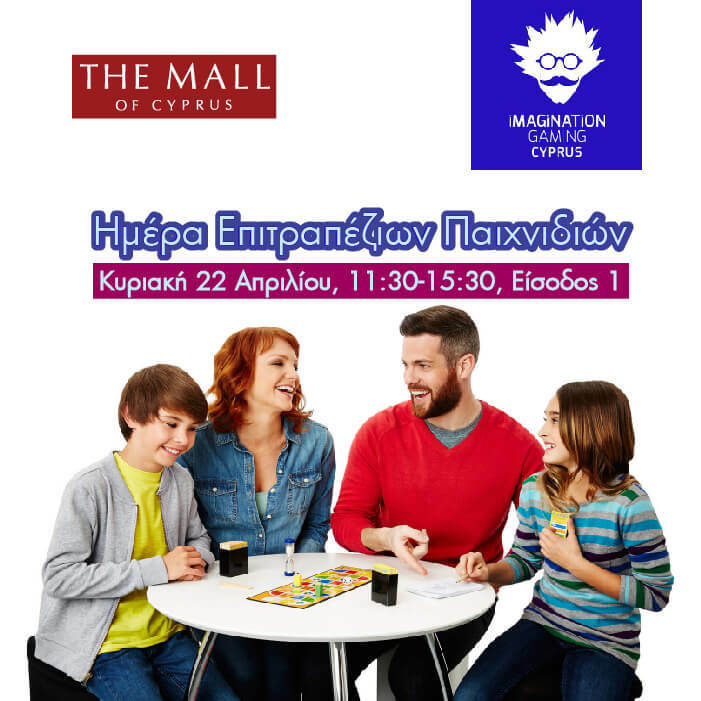 Come and play on the 22nd of April, at 11:30-15:30, Entrance 1 , The Mall of Cyprus.